Maidstone's Day Use beach was redone after we closed. Half of the beach had been taken over by grass and was something beach goers mentioned, so it has been taken care of! 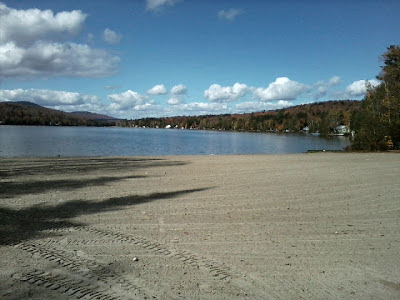 This fall a volunteer who lives on the lake , Dave Lufkin , volunteered his time and machinery to rake the grass out of the beach. After he did. we got 4 loads of new sand delivered , then he leveled that out.....it's so amazing the difference . Campers Beach A also got the same treatment. We hope you all enjoy the new beach next season!